Our leadership team had the opportunity recently to attend the quarterly Philadelphia Chapter ASUG meeting at SAP Headquarters in Newtown Square, and User Experience was on prominent display. It felt like each talk track had UX weaved into the presentation on some level. It was clear that UX remains an in-demand topic in the world of SAP technology. 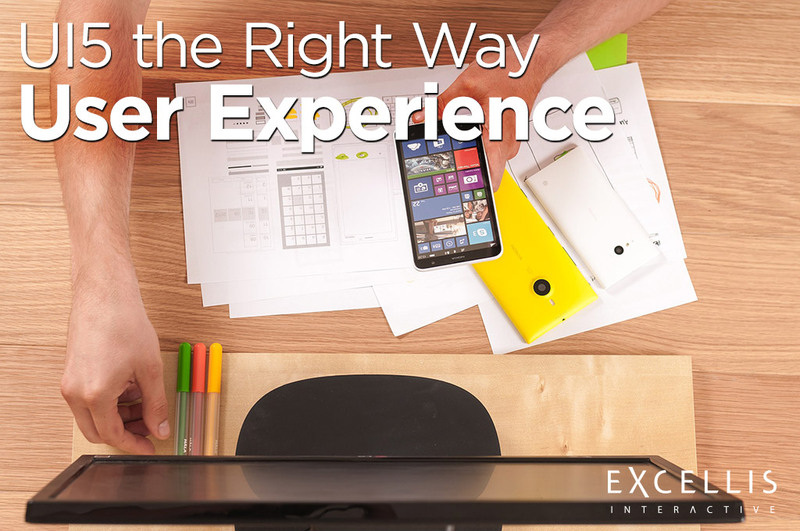 User experience may well be the single most important success factor for your project. That is a big statement, but if nobody uses your solution, it really doesn’t matter how well the code is written. Adoption is a must have. In another blog, I talked about how much I love developers – I used to be one myself! Sometimes I wish I had the time to code all day as I did in the early days of my career. But I learned early on that writing great code was only half the equation. Without great design, and great user experience to go along with it, developers would not be nearly be as successful without it. So, God bless the designers – they provide the blueprint for a project’s success. Here are 3 key points to remember when it comes to providing great UX on your UI5 project. Design thinking is not a new concept. It’s been around forever in the world of UX, and thankfully, it’s made its way to the world of SAP. The discovery process includes contextual interviews, white boarding, card sorting, persona creation, segmentation, and requirements, to name a few. The best UX folks always have their pad and pencil ready, sketching furiously and nodding. Listening is the fuel on which the entire UX process runs. We have found that getting to the visual part as quickly as possible really helps move the project in the right direction. A picture is worth a thousand words and so too are UX wireframes and comps. With UI5, we have a lot of resources which aid in the creation of these digital assets. SAP has done a good job with open sourcing the OpenUI5 product in general, and that includes all the design patterns we find on the SAP Fiori Design Guidelines page. With great UX design, it’s often times not about getting it right the first time. It’s actually quite the opposite. Of all the projects I’ve been on where UX was key to success, there was a constant honing of the UI, or “smoothing” as I call it, to get it right. Iterating includes revisions through the user refinery of usability testing. The same goes with UI5 UX – measure twice, cut once. So remember these three keys to UX success on your UI5 projects. You can’t always get it right the first time, and we all know out of the box won’t be successful either. But listening, visualizing, and iterating will get you where you want to be – and your users will benefit from this strategy in the end. You can see even more from me in the video below. Be sure to checkout the next post in our series, where we will cover technology options. In the meantime, we’d love to get your thoughts on user experience. Have you worked a project that lacked usability testing, only to find more problems in the end? Or are you ramping up for a UI5 project now that could benefit from UI5 user experience? Let us know in the comments below or contact me directly at plagana@excelliscorp.com.